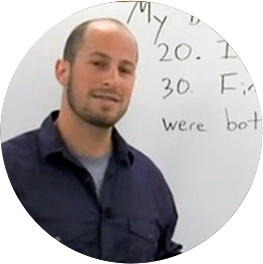 Carl taught upper-level math in several schools and currently runs his own tutoring company. He bets that no one can beat his love for intensive outdoor activities! Throughout mathematics, we find function notation. Function notation is a way to write functions that is easy to read and understand. Functions have dependent and independent variables, and when we use function notation the independent variable is commonly x, and the dependent variable is F(x). In order to write a relation or equation using function notation, we first determine whether the relation is a function. So an arithmetic sequence is a special kind of sequence where to get from one term to the next you either add or subtract a set difference every single time. So for this particular example we go from 13 to 10 to 7 to 4. What we're doing is subtracting 3 every time to get to the next term. And the cool thing about arithmetic sequences is that we can actually get general formulas for them, okay? So what we have is what we call a common difference, which for an arithmetic sequence is typically abbreviated as d. And that is what we add to every term to get the previous term. So in this particular example, what we add to 13 to get 10 is -3. So your d in this case is negative, which is perfectly fine. If our d was positive our terms would be getting larger, okay? And what we're going to do is just sort of general case of figuring out the general term for an arithmetic sequence. Okay. So what we have is, if we're given a1, a1 is just going to be our first term. Easy enough. To get our second term, all we do is we take our first term and add in that difference. So our first term here was 13, we added in a difference of -3 to end up with 10, okay? To get the third term all we do is take the second term a sub 2 and add the d again. But the cool thing about this is we can actually have a statement for a sub 2 so what we end up with is, this is just going to be a sub 1 plus d plus d which works out to be a sub 1 plus 2d. Okay? Continuing on, a sub 4 is basically going to add another d to a sub 3. We're just adding a d every time in order to make it to next term. So we just add a d to this previous term and we end up with a sub 1 plus 3d. Okay. This is going to continue on and on to get a sub 5 we add in another d and so on and so fourth. But what we can do then is just basically make a statement a sub n. a sub n is going to be the first term plus and if you notice for the second term we added one d, for the third term we added 2d's, for the fourth term we added 3d's. We're always adding one less d than the term number. So all we're doing for this is adding n minus 1 times d. Okay? So through the [IB] this is for any arithmetic sequence for whenever you are adding or subtracting a set number to get the next term. You can always use the formula for your general term a sub n is equal to a sub 1 plus quantity an minus 1 times d in order to solve for information regarding each term.